Turf is a solution for homeowners with unsightly or uneven yard condition. Knowing how to lay turf helps you create the final look you covet. Turf makes your yard neater and creates great space for decorating or holding outdoor events. However, laying a new turf is not as easy as spreading the freshly-delivered layer. This guide will help you laying turf without help, so you can get successful final look. Make sure to understand things about land preparations, turf types, and maintenance methods. Trash and unwanted elements like weed are not just ugly. They prevent you from measuring the correct dimension to cover with turfs. Pick up all the trashes and clear the surface with herbicide if necessary. Wait until the herbicide takes effect before taking further steps (usually two weeks after application). Repeat the herbicide application if necessary. Excavation is important to create level soil surface for the turf. It also keeps the grass in the same line with other elements such as the driveway. Use a rake to do the job. Fill the gaps with gypsum (for clay-based soil) or organic matter (for sandy soil). Get the right measurement and site plan before ordering the turfs. If your yard is large, you can break it down into several smaller squares, circles, or triangles. Make sure you measure around obstacles such as flower beds and pond. When you measure the dimension of each area, add extra numbers for adjustments. Living turf needs perfect soil condition to stay fresh. You can loosen the treated soil by using a rotary hoe. If the soil condition is poor, add topsoil layer. Even without topsoil, you need to add good amount of soil on the surface to prepare for the turfs. Choose a fertilizer with special formula for lawn, or the one that mas “moisture magnet” function. When the turf rolls come, start unrolling from the farthest area of the yard. This is to prevent you from stepping on the freshly-laid turfs. Edges and large surfaces are the easiest parts to cover first with grasses. You can lay as many slabs as possible on these areas. Make sure there are no gaps between them (step the borders between two slabs gently to “merge” them). Even when you encounter odd parts or edges, you should focus on areas where turf slabs can be laid perfectly. Take as many areas as possible with whole slabs before dealing with gaps. Cut the remaining slabs accordingly to fill the weird patches and gaps. If your yard has a sloped area, lay the turfs in horizontal positions. It makes them stable and less prone to slipping during the rainy season. If you are worried about the result, purchase professional installation service. The standard cost of laying turf is between USD27 and USD34 per meter square. When the turfs arrive at your home, they are still attached with the soil to sustain them temporarily. However, you must lay and care for them as quickly as possible. New turf care requires you to keep them fresh until their roots become stronger in the new soil. The very first things to do are watering them twice a day (every day) and keeping them from being disturbed. You can lift the turf layers to see if they grow new, more established roots. Once you are unable to lift them, reduce the watering frequency into twice a week. It is best to install lawn sprinkler to give your turfs enough moisture, since rain alone is not enough to keep them fresh. Eureka Kikuyu is one of the cheapest and most common turf varieties. It has bright color and moderate maintenance level. Kikuyu turfs grow robustly during summer, so you need to mow them regularly. The turfs have high tolerance toward feet traffic and other heavy burdens. Sir Grange Zoysia is perfect for lawn owners with less generous sunlight exposure. The turfs are durable and can handle heavy traffic. Zoysia is also tolerant toward shades. You need to mow it regularly during summer. This turf type is great for sport fields, thanks to tight root formations and structures. Aussie Blue Couch is not so tolerant with drought, but it can retain its green color during winter. Sapphire Buffalo has tight blades and rich green color, perfect to create the fancy look in your yard. It also handles heavy traffic and shades well. The tight formation makes it more resistant to weed and bald patches. Tiftuf Bermuda is a turf that has fine grass blades, with rich color that looks perfect in private lawn or sport field. The turf variety is drought and shade resistant, making it perfect for neat look without sacrificing durability. Many of these varieties are available at specific stores such as Bunnings Turf. Not only you can get turf rolls or slabs, but also order installment service. Turfs create the spacious and fresh look on your lawn, but they are also useful for commercial or sport uses. 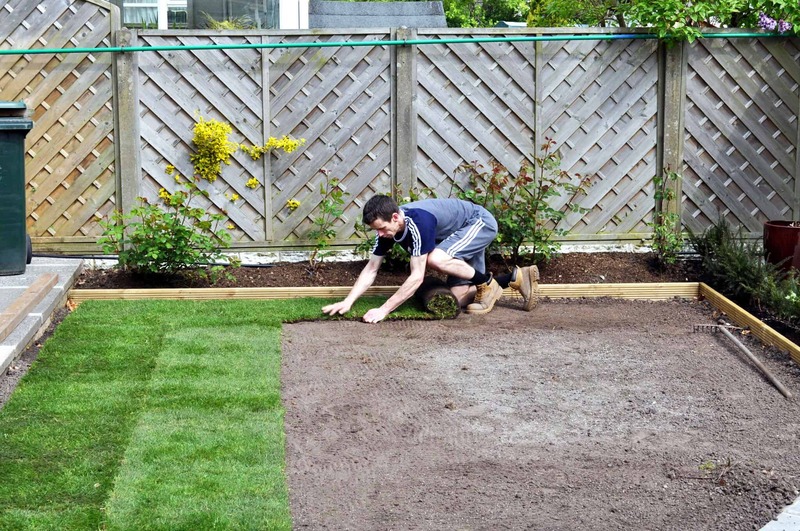 Knowing how to lay turf helps you improving nonproductive or dull yard. You need a special strategy to lay the turf and create a nice look. Don’t forget to choose the right variety for the best lawn look.